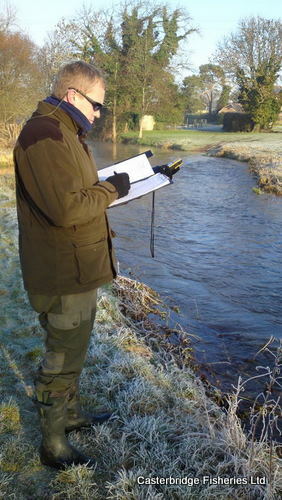 River Habitat Surveys are a method designed to characterise and assess the physical structure of freshwater streams and rivers. The survey technique has been extensively used in the UK since the mid 1990s, predominately by the Environment Agency. RHS can be used to determine catchment characteristics, species-habitat investigations and environmental impact assessment, it can also provide general surveillance and site specific surveys. Casterbridge Fisheries can provide an accredited surveyor to undertake all aspects of this work.